Thanks for the Raffle! 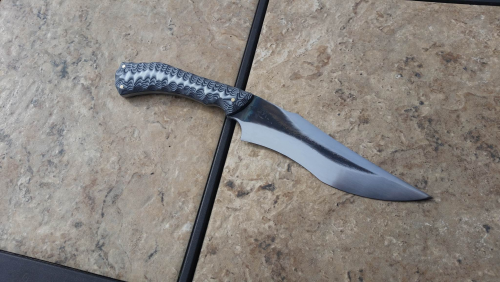 Great looking knife! Thanks for this raffle! Good luck to everyone! Thanks for the invite. I am Odingaard, from the old SBG forum, also known as Crusader Monk, also known as Jon Sarge. Greetings everyone! This is super well done! Nice work and thanks for sharing Collin! <url>https://youtu.be/3L4_xfslToI</url> vs 14 chopsticks core big newspaper roll. This is the best cutting sword I've ever cut with. Absolutely amazing! John Greybeard... Thank you so much. If you liked this one, you are going to like the Mainz and Scabbard I am currently making which is matched to a Pugio and Scabbard. If you'd like a sneak peek look at my facebook page: Master Carver and Maritime Artist Patrick B. Pointer. The name of the page is old and FB won't let me change it... but the content is new and up to date. There are also videos and tutorials on the page. I also do a few give-aways now and then for a lucky member that follows the page and "Likes" it. I give a certain notification and people have a designated time to respond to be a part of the give away. I will be doing it again when the page reaches 2000 followers. I bought a Naginata from St-Nihonto, but it was pretty disappointing. Same issues that all of them on the market seem to have, soft-ish steel and a really fragile shaft. I'd love to see pictures of the longship spear! Thanks for always sharing your videos! Always cool to see Johns work in action! Is it possible to compile a list of polearm makers? 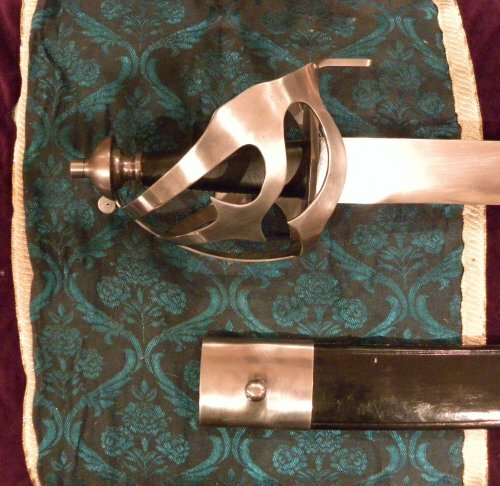 I know the general manufacturers like Arms and Armor, Windlass, Cold Steel, etc. all have their mass produced models, but are there any smaller companies out there or custom makers that may be missed? 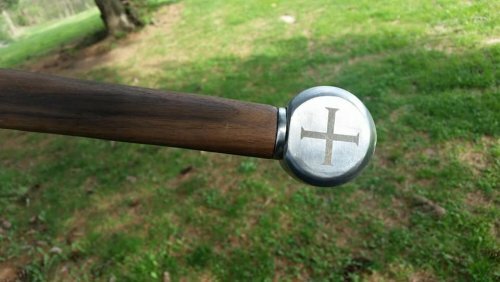 I actually have a custom spear made by Longship from a few years ago and was wondering if there are any other manufacturers that do custom polearms. https://youtu.be/yigHOhmpb74 Longship Armoury 3V swords in action. 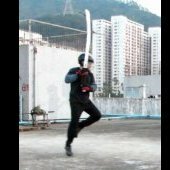 Tengu and No Remorse vs 14 chopsticks cored newspapers roll, both tested with a difficult left hand on pommel left to right leg cut first. Tengu managed to cut to the bone while NR cut through the whole thing. Please do! It's probably my favorite meme! Congratulations James for an ambitious and most welcome new space for all us lovers of steel. Looks like a whole lot of work to get this baby off the ground - Thank You!